When I "learned" design, it wasn't user-centric. 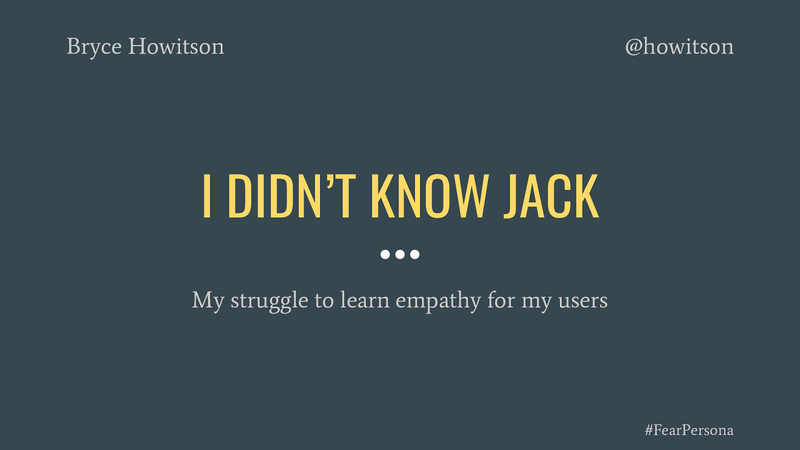 This presentation follows my personal journey toward empathy with users, customers, and neighbors. I discuss using shared emotions to humanize audience pain points, creating actionable "fear personas" of users and why this process works. Anyone who makes things to be used by people will come away with a better understanding of empathy and a framework to apply it daily. Bryce puts presentations on for free. You can too.